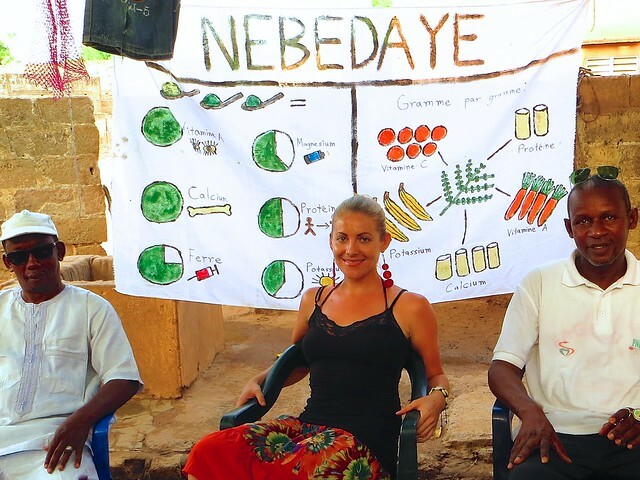 When I arrived in Senegal and started working in nutrition and development for the Peace Corps, I couldn’t believe I had never heard of Moringa Oleifera. How could such a plant be spreading so rapidly across the developing world – a solution for fighting malnutrition and soil degradation, generating income, treating unclean water, and assuaging a variety of illnesses – and yet be relatively unknown in Western countries? Around the world Moringa is known by many names, including “the Miracle Tree” and “l’Arbre de Vie” (tree of life). In Senegal, people call it “Dr. 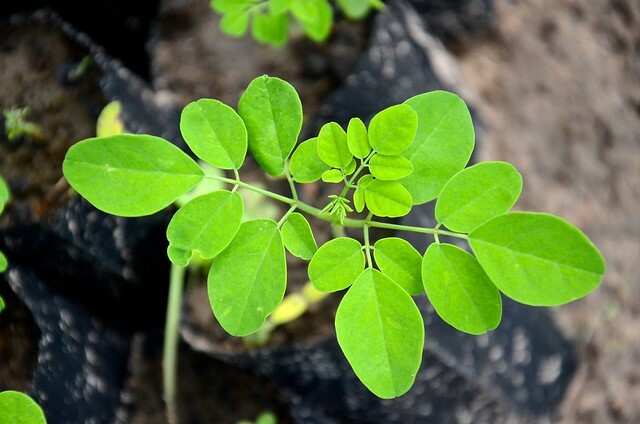 Moringa” for its health benefits or “Nebedaye,” a twist on the English “Never Die,” for its ability to grow in almost any conditions and soil type. A tropical deciduous tree native to India, Moringa Oleifera has been transplanted to many other tropical and sub-tropical countries in Asia, Latin America, and Africa. As the name “Nebedaye” implies, this is one tough plant. Too much water won’t usually drown it, and too little won’t usually starve it. Aid workers like to joke that we can just toss Moringa seeds over the ground and something will grow. The benefits really are miraculous. Moringa leaves are edible and potent with vitamins, nutrients, and proteins. Gram for gram, Moringa leaves are said to contain four times the vitamin A in carrots, seven times the vitamin C in oranges, four times the calcium in milk, two times the protein in milk, and three times the potassium in bananas. The plant also contains vitamin E, magnesium, and iron, which is great for pregnant women. The author with her community counterparts in Kolda, Senegal – Mamadou Barry (left) and Boubacar Salif Diallo (right). In Senegal, the poorest families are often unable able to afford many (or any) vegetables for their meals. Instead, they eat mainly starch-based foods such as rice and sauce, porridge, or plain couscous. Regardless of income, buying rice and meat is usually more of a priority than buying vegetables or worrying about vitamin content. Even my own host family, wavering on the line between poor and middle class, often skimps on the veggies. The average Senegalese woman has a family of five children. From my own experience, most families I’ve met are two or three times this size, taking into account multiple wives and other family members or friends that come to stay for months at a time. The author’s Senegalese host family eating dinner. In Senegal, meals are eaten from a communal bowl. 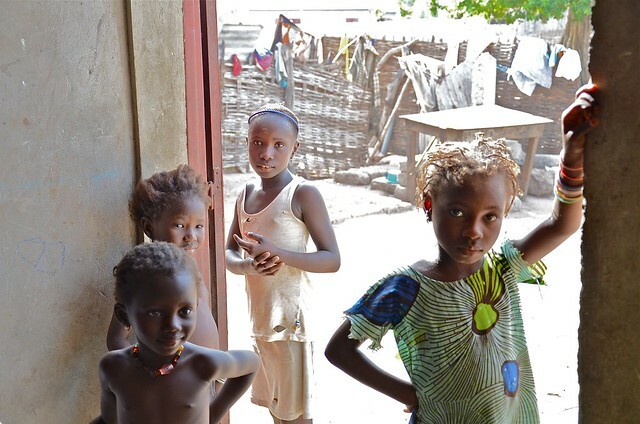 Malnutrition and child mortality are still big problems in Senegal. UNICEF reports that an estimated 30,000 children under age five still die each year; 17.7 percent of Senegalese children are moderately or severely underweight. 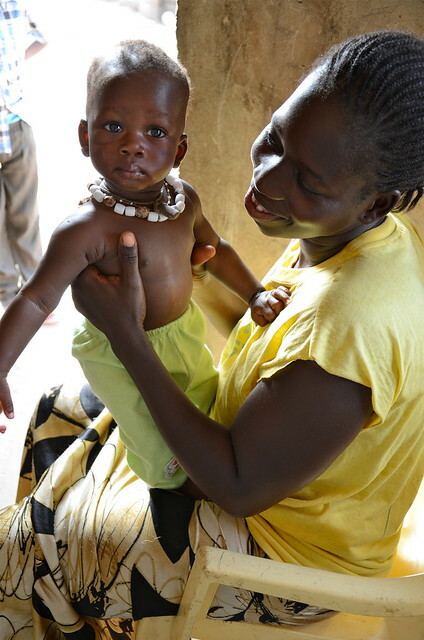 Children experience some of the worst malnutrition and growth stunting in my region, Kolda. A 12-hour journey south over terrible roads from the capital city of Dakar, Kolda’s poor access to transportation makes imports and exports difficult. Extreme poverty leads many farmers to sell their produce locally rather than consume it themselves, opting instead to eat cheap staple dishes low in vitamins and nutrients. Ignorance in regards to nutrition and food security also fuel detrimental farming and eating habits. Children in Kolda, Senegal. The reddish tint to their hair may indicate malnutrition. 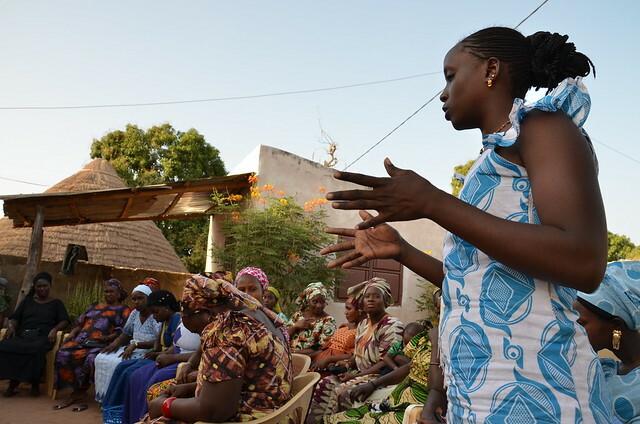 While these factors are specific to Senegal, similar realities are true in developing countries across the globe. Changing behavior is difficult, especially when it comes to food. Societies accustomed to eating to fill their bellies rather than nourish their bodies are not going to change what they cook overnight. Senegal in particular has an odd but fascinating national adherence to a handful of specific dishes: ceebu jenn or ceebu yapp, mafé, yassa, laciri (cous-cous), etc. Everyone, and I mean everyone, eats these dishes. My host family serves ceebu jenn almost every single day. Experimental cooking is just not practiced. 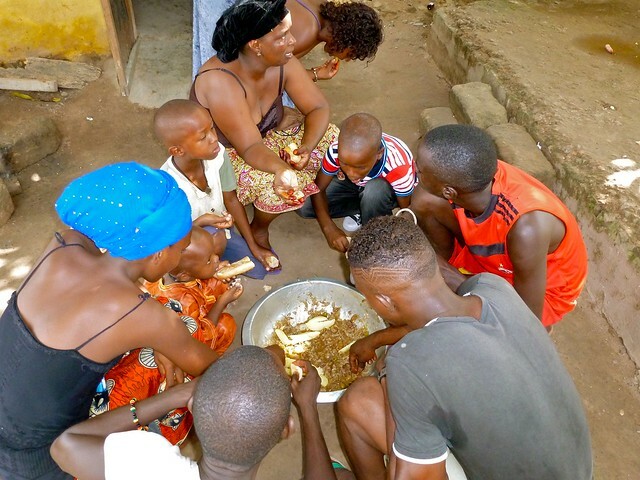 Considering the limited vitamins and nutrients coming from these meals, a nutritional supplement like Moringa – locally grown, distinctive and easy to find – can make a critical difference. No one has to go out of their way to find or grow the plant. No one has to give up the dishes they love. Instead, they can simply add Moringa. Moringa leaves can be cooked or sautéed, but watch out: cook them too much and their nutritional content is lost. An easier way to get the nutrients is through Moringa leaf powder, made from dried and pounded leaves, and add it to meals. Vitamins and minerals are even more concentrated in leaf powder, which can last for months if stored in a cool place. The powder can be sprinkled on any meal (best if savory), mixed with porridge, or even blended with juice to create a smoothie-like drink. Porridge mixed with Moringa leaf powder. When it comes to health, this plant is like nature’s version of a Swiss Army Knife – there’s a little tool for everything. Have a nursing mother who can’t produce enough milk? Add three spoonfuls of Moringa powder to her meals each day. Need to get some strength back into a malnourished child? Supplement his meals with one spoonful of powder. While Moringa is not an emergency solution for severe malnutrition or wasting, it is a good preventative measure when a child is underweight. What if the child has diarrhea – one of the biggest child-killers in developing nations? Mixed with honey and coconut milk, Moringa leaves are used as a remedy for diarrhea, dysentery and colitis (inflammation of the colon). Need clean water? Add powder from the crushed moringa seed kernels to a bottle of water, let it sit, and it works as a natural filter. Struggling with diabetes? 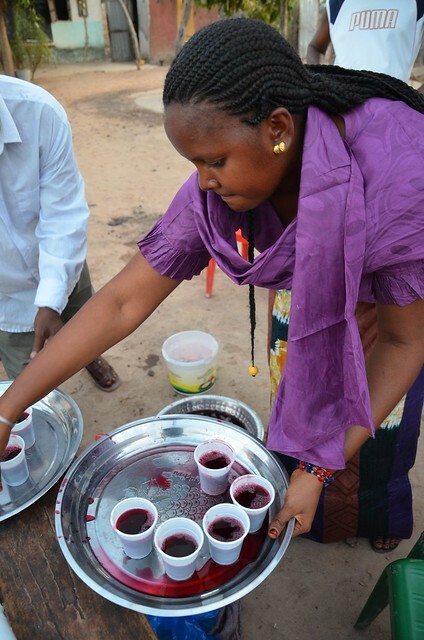 In Senegal, where access to medical treatment is sometimes limited, an infusion of leaf juice is said to help control glucose levels. The plant’s antioxidant properties also make it a good supplement for those suffering from anemia, HIV/AIDS, constipation or indigestion. Best of all, none of the plant needs to go to waste – every part can be used. Moringa leaf poultices are used in countries around the world, for everything from headaches (India, Nicaragua) to glandular swelling (India, Philippines) to skin infections (Senegal). The seedpods can be chopped up like cucumbers to pop in a salad. 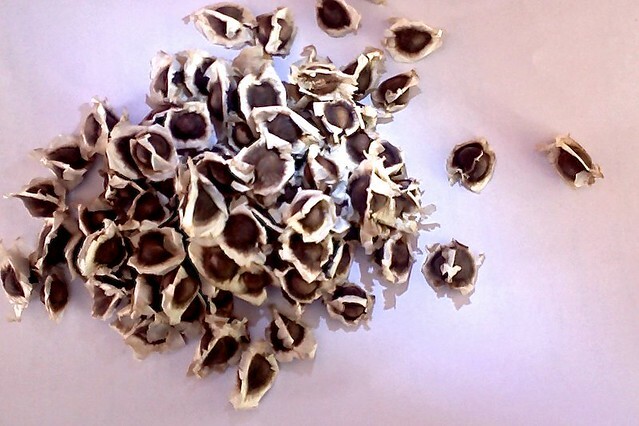 The seeds can be cooked like beans or pressed to create Moringa oil, which is said to relieve pain and swelling. Moringa flowers can also be used to make an anti-inflammatory tea or eyewash (Puerto Rico). In India, juice from the flowers is used for sore throats. The plant is useful even down to the roots, which can be pounded to create poultices for treating rheumatism, articular pains, or lower back pain (Senegal, India) or inflammations (India, Nicaragua, Nigeria). Of course, promoting Moringa isn’t risk-free. It’s easy for careless mistakes to be made when producing leaf powder. If the leaves haven’t been thoroughly washed before they’re dried, powder of poor sanitary quality can cause digestive illnesses. Packaging powder in clear plastic bags (the cheapest option) and letting it sit in the sun at markets can burn away essential vitamins. But if the process is conducted carefully and the leaf powder stored well, it can retain its nutritional value. As the benefits of the plant have become better known in recent years, production continues to expand. Even Western countries have jumped on the Moringa train. You can now buy bottles of “Moringa supplements” (capsules filled with leaf powder) just like you can buy fish oil or vitamin B12. 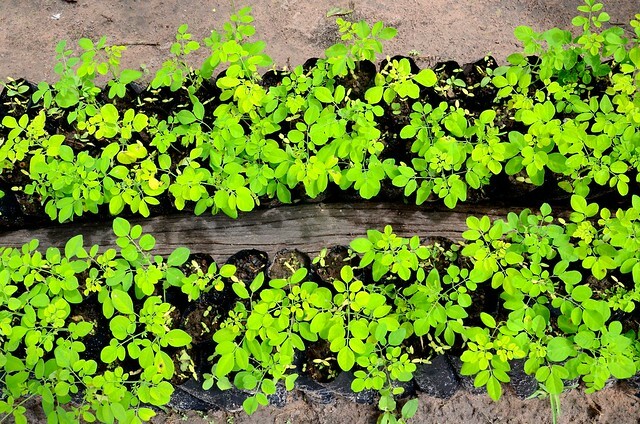 As for Senegal, increasing awareness of Moringa can have positive impacts in multiple areas: health, commerce (selling Moringa products like powder, oil, or soap), and even agriculture (it can improve soil through its nitrogen-fixing properties). 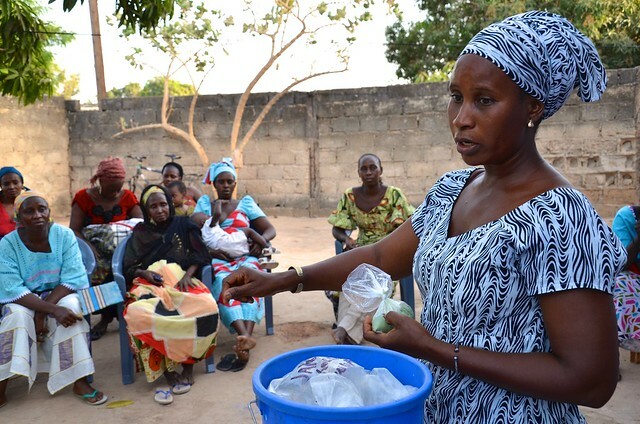 Ideally, health centers and hospitals in Senegal would offer the powder for sale and recommend it as a dietary supplement to mothers with underweight children, but this is not widely practiced. However, nearby boutiques (small convenience shops) or market stalls occasionally sell Moringa powder. This past March, Diallo and a few other local partners helped me organize a Moringa education project in Kolda. To raise awareness of the nutritional and economic benefits of this plant, we held meetings (“causeries”) with 14 community-based organizations. The majority of these were women’s groups. We taught each group about the nutritional benefits of Moringa, ways to cook using the plant, where to get seeds, the basics of how to cultivate the trees, and how to make leaf powder. 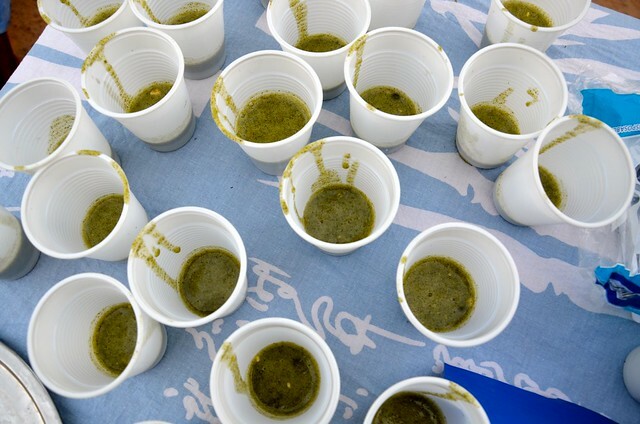 We also offered cooking demonstrations of Moringa powder used in local dishes, with samples given out to taste. Many of them had heard of Moringa but didn’t know how to use it or cook with it. 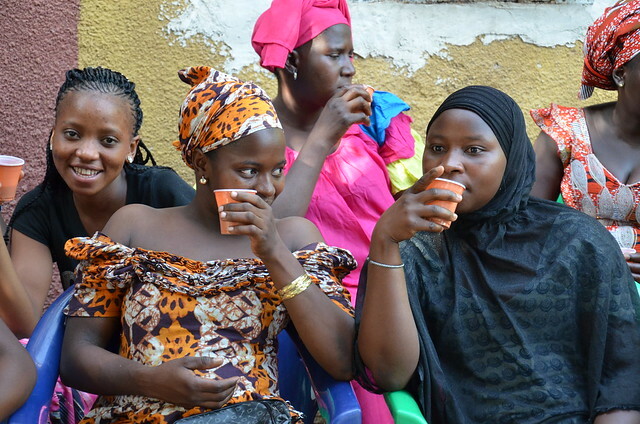 Senegalese women try their first taste of Moringa bissap juice. At the end of each causerie, participants were asked to make an action plan for how they would use Moringa if provided with starter seeds. 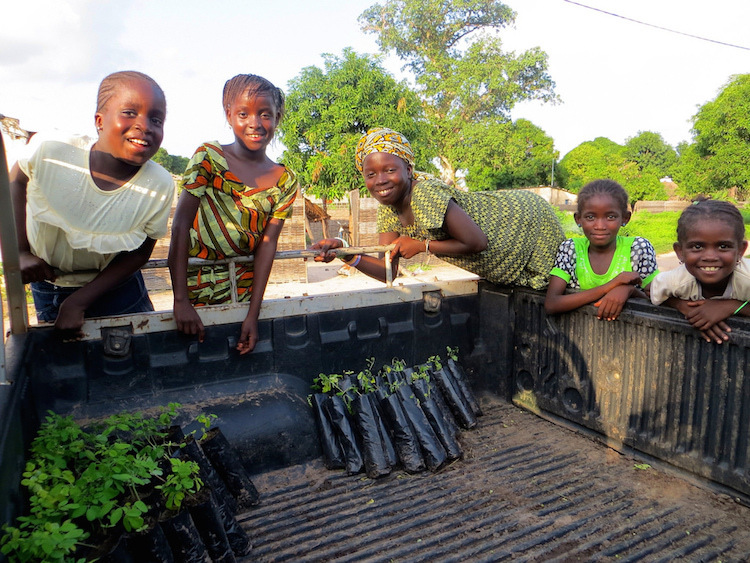 A USAID project in Senegal called “Yaajeende” provided seeds and saplings for us to distribute to the women’s groups. 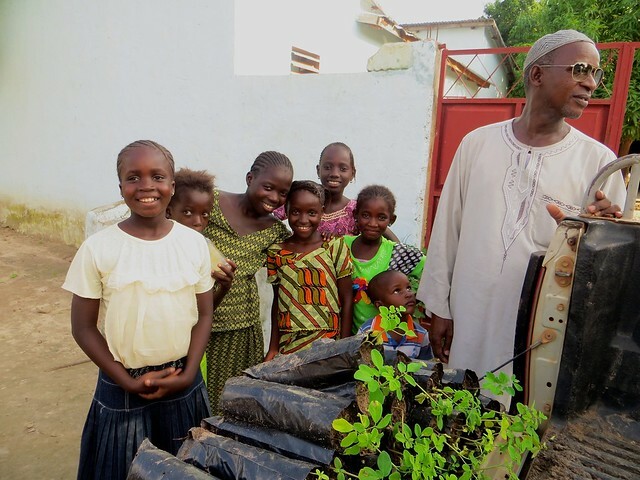 “We decided to use Moringa as a tool in our fight against malnutrition, because we’ve discovered that in Senegal that the five micronutrients that pose a public health problem – iron, zinc, iodine, Vitamin B9, and Vitamin A – are all found in large quantities in Moringa,” says Abdoulaye Ba, Nutrition Supervisor at USAID’s Yaajeende project in Kolda. 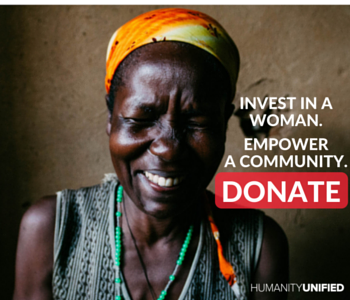 Once the women targeted by the project start growing Moringa in their personal gardens and using the leaves to cook, the practice will hopefully continue to expand on its own within each community. The results so far are promising: my own host mother, who had observed what we were doing, asked me for seeds to plant in our family garden. Other women (even a few men!) 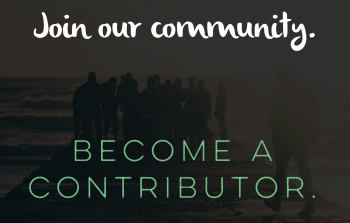 around Kolda have approached me asking about the project. 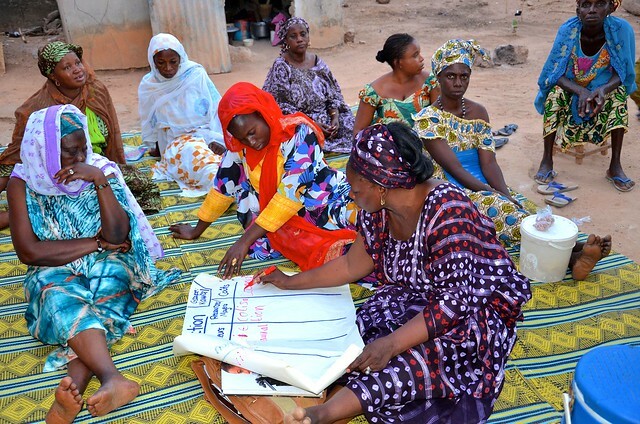 Ami Collé Senghor helps members of her women’s group, Kawral, formulate an action plan for Moringa use in their community. Abdoulaye Ba, Nutrition Supervisor at USAID’s Yaajeende project in Kolda, overseas the production and distribution of Moringa plants. 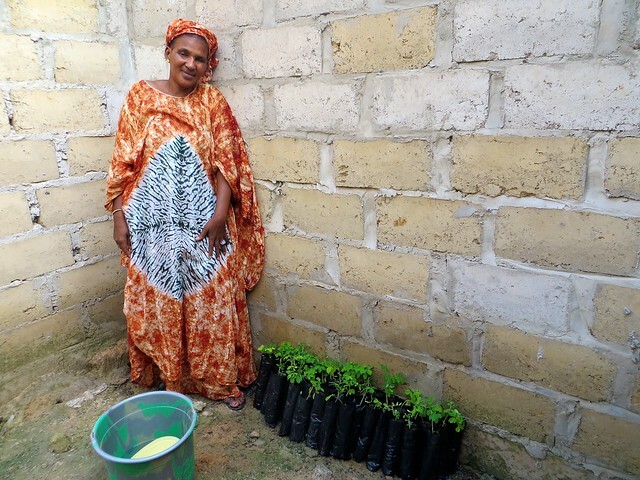 Mariama Baldé, president of Kolda women’s group Takku Ligge, stands with the 50 new Moringa saplings she received for her group. 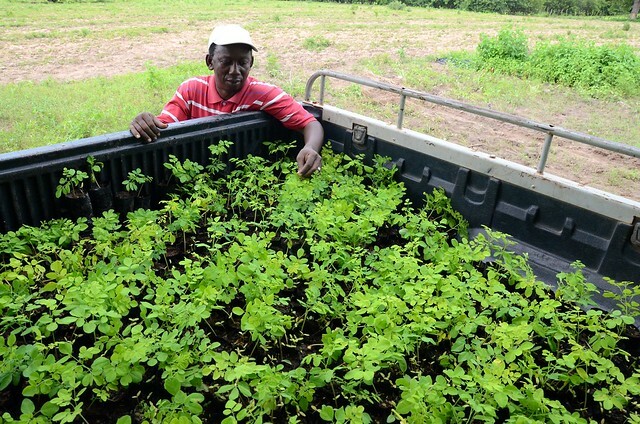 Mamadou Barry with Moringa saplings he cultivated. Barry is a Moringa producer and activist in Kolda as well as president of the Association pour la Valorisation du Gombo du Fouladou (AVGF). 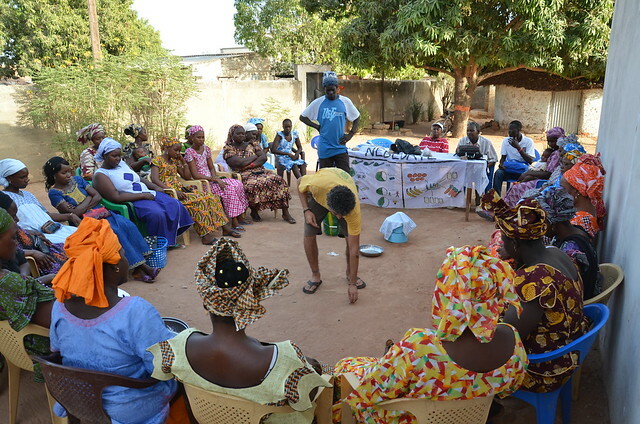 In partnership with Peace Corps, Barry started working with Moringa about five years ago, and he hasn’t stopped. It’s hard to believe that so much potential can be packed into such an unobtrusive tree. But whether it’s used as a source of income or a tool for improving child and maternal health, Moringa can be a great resource for developing countries. Green is in fact the new gold. Kolda kids look on during the Moringa distribution. 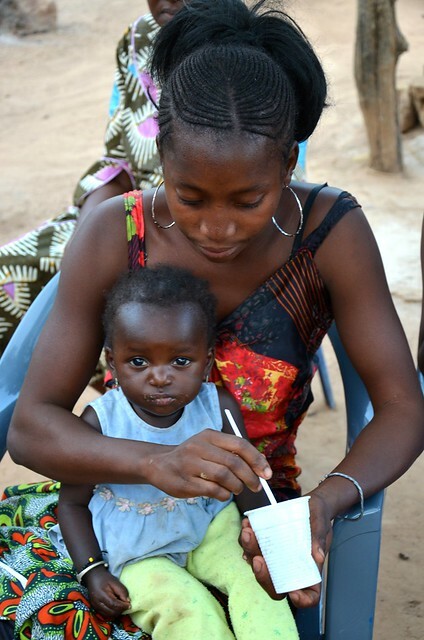 Moringa’s biggest potential beneficiaries: mothers and children, who suffer from high malnutrition rates in Senegal. Moringa saplings prepared for distribution to women’s groups in Kolda. Lauren Seibert is a writer, photographer and humanitarian activist currently serving as a Peace Corps Health Volunteer in Senegal. Previous incarnations found her as a writer for publications in Baltimore and Philadelphia, a student in London and Australia, a nonprofit worker in Kenya, and an activist in Washington DC. When she’s not working on development projects or battling sand and mosquitoes in Senegal, she can be found scribbling away about her travel adventures. Follow her at www.unheardworld.blogspot.com.